Galaxy Nexus getting a refresh? The rumoured Samsung Galaxy Premier has popped up in China in an Antutu benchmarking test, which has revealed it won't be a slouch if it does arrive. We heard about the possibility of yet another Samsung phone after the announcement of the Galaxy S3 Mini last week, with the Galaxy Premier touted as the Samsung Galaxy Nexus dressed up to look like the Galaxy S3. However it appears that the Galaxy Premier will offer more than the Galaxy Nexus, with a beefed up 1.5GHz dual-core processor and Android 4.1, coupled with the same 4.6-inch 1280x720 Super AMOLED display. That boost in processing power now seems to be confirmed after a leaked benchmark result appeared on SamMobile reporting a score of 7,700 for the Samsung Galaxy Premier, which beats the 6,300 the Galaxy Nexus managed. 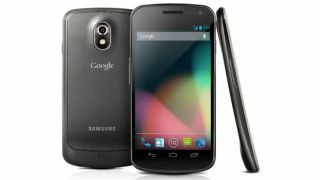 The benchmark results also revealed the 1.5GHz processor, GT-I9268 model number and version 4.1.1 of Android Jelly Bean. It's thought the Galaxy Premier will also sport an 8MP rear camera, 2MP front camera, Wi-Fi b/g/n, Bluetooth 4.0 and measure 133.97 x 68.1 x 8.8mm. Currently there's no official word on the Samsung Galaxy Premier release date or price, but it looks likely to land before the end of the year, possibly launching sometime in December.